You may ask, who the heck is Yuriy Dmytrenko? Is he a Russian gymnist? A well known swimmer? A famous soccer player? Well, he’s a little bit of all the above–AND, he’s a fantastic massage therapist. 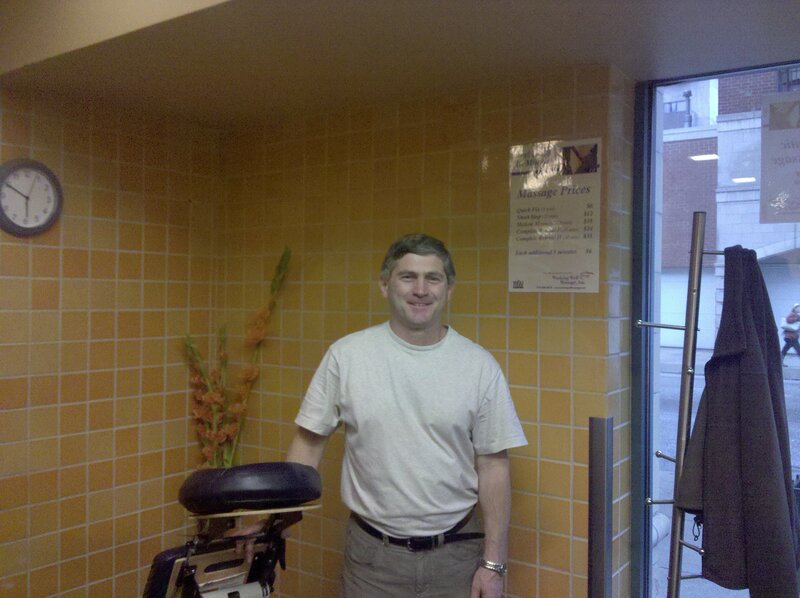 Yuriy works at both Working Well Massage chair stations in Chicago. You can meet Yuriy at Whole Foods Gold Coast or at Whole Foods Lincoln Park. One of the things I really like about Yuriy is that he combines the strength of an athlete with old world gentlemanliness of his native land–Russia. Yuriy can give really deep massages or he can be gentle and relaxing. After a massage, I can count on Yuriy to help me put my coat on, help me pick up my groceries and give me a nice smile and hug! I asked Yuriy to tell me a bit about his background and he shared his story with me. Now I am sharing it with you! Yuriy was born in Russia and completed the Russian Institute of physical education in 1992. He taught high school physical education classes and trained young people in gymnastics, swimming, personal training and soccer while teaching. He moved to the U.S. and became a personal trainer,certified through the ISSA. 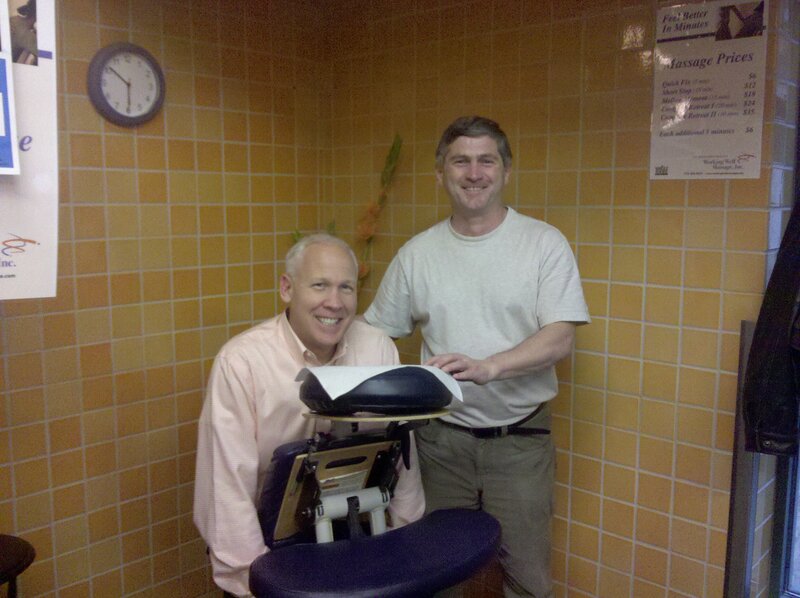 In 2002 he graduated from the First Institute of Massage in Glenview and in 2008 he became a United States citizen! As English is not his native language, sometimes Yuriy may appear shy or gruff. but if you speak to him, his whole face lights up when he smile and does his best to alleviate your tired and tense muscles. I recently had a client tell me “I love Yuriy” because he is so sweet and such a good massage therapist! I respect Yuriy for coming to a new country where he did not speak the language and working his way through U.S. based training to become a personal trainer and massage therapist. And, he legally obtained citizenship and continues his English language studies to improve his speech and comprehension of English. It’s an honor to work with Yuriy and always a pleasure to get a massage from him too!